Zak Accounting Professional Corporation is a Great Ottawa and Gatineau Area accounting service provider. We provide practical taxation services to small and middle-sized businesses in Ottawa and surrounding areas. Do you need help with your Tax Return? Are you paying too much tax? Most people living in Canada are required by law to pay tax. Taxable income can be from business profits, salaries, commissions, rents and dividends. Zak Accounting offers a full range of tax planning and compliance services. Completing tax returns can be an extremely stressful experience particularly when there are several forms involve. There are deadlines to meet with very few exceptions resulting in interest and charges. Zak Accounting prepares federal and provincial tax returns for individuals living in Ontario and Quebec. We prepare personal income tax returns throughout the year. We understand changing tax laws and regulations and can assist you with developing solutions consistent with your requirements and objectives. Zak Accounting also prepares federal and provincial taxes for any businesses and non-profit organizations in Ontario and Quebec. We will ensure that your returns are prepared efficiently, accurately and filed on time. We assess strategies and look for opportunities that will minimize your corporate income tax liability by taking advantage of existing and new corporate income tax laws. 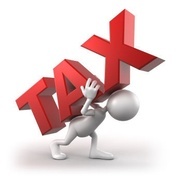 The goal of tax planning is to arrange your financial affairs so as to minimize your tax liabilities. You can reduce your income, increase your deductions, and take advantage of tax credits. We use existing tax laws to your advantage. Everyone's tax situation is different and yours might not suit a standard solution. We will ensure that a proper tax plan is in place by determining the most tax effective structure for your business and relieve you of the administrative burden of complying with tax legislation. Contact our accountants in Ottawa, ON at the Zak Accounting Professional Corporation to know more about the personal and corporate income taxation services we provide in Ottawa, Gatineau and the surrounding areas.